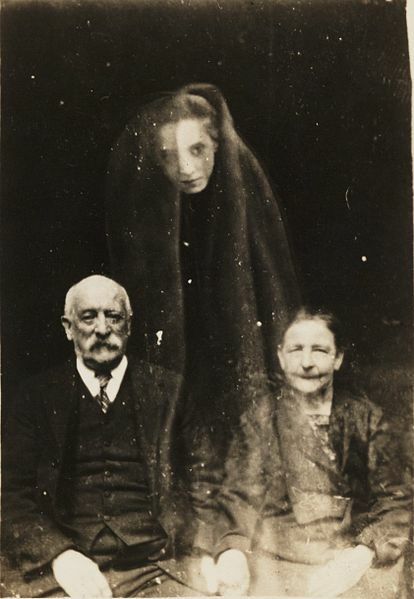 In the 1800s, a strange and spooky fad took the Western world by storm: talking to ghosts. Mediums were in high demand as people organized séances to contact the dead. The craze, known as spiritualism, had a few different causes. It came from improvements in communication technology—if you could send near-immediate telegraphs to your cousin several hundred miles away, perhaps it wasn’t such a stretch to imagine you could contact your mother from beyond the grave. It came from an increase in hiring household staff; seen but never heard, a servant’s presence may have seemed rather ghostly to those living there. And it may have even been related to hallucinations brought on by carbon monoxide coming from the gas lamps popular at the time. The upshot of all this was “a progressive internalization of horror,” according to author Dr. Andrew Smith. This proved to be irresistible psychology for many nineteenth-century Western authors, and thanks to the rise of the periodical press, spooky stories were able to flourish. Of course, there had always been spirits throughout the history of English literature, but their primary function had been to further the plot—take, for example, the ghost of the titular character’s father in Shakespeare’s Hamlet. Now, the phantoms had a new purpose: terrify the reader. Couple with a young female spirit. The ghost stories of Sheridan Le Fanu, like Green Tea (1869), had credible settings, which made the phantoms that appeared all the more realistic and therefore frightening. Henry James’s tales explored the psychological, internal aspects of horror in stories like Turn of the Screw (1898). M. R. James’s scary stories relied on realistic settings and were written as though they were factual accounts, such as “Canon Alberic’s Scrap-Book” (1895). With the innovations of these authors and many others, the Victorian era was when ghost stories truly came into their own. In Victorian England, ghost stories were especially popular around Christmastime. These yuletide tales of specters and spirits tended to take on a less spooky tone, however—the intention wasn’t necessarily to scare. Instead, says Tara Moore in Victorian Christmas in Print, “supernatural agents enter the narrative to alter reality and . . . bring about a Christmas utopia of reunion and spiritual redemption.” Charles Dickens’s A Christmas Carol was one of the most successful of these Yuletide ghost stories, and while the spirits in it can be frightening, they are carefully constructed to convince Ebenezer Scrooge to change his miserly ways. But Dickens knew that, no matter how much scientific reasoning one could come up with, the vision of a ghost was still very real—and sometimes terrifying—to those who truly believed they saw one. The monsters might come from within our own psychology, but that does not mean we necessarily have the power to make the spirits go away. Scrooge certainly does not, which he realizes as each of the four ghosts force him to witness painful events from his past, present, and future. The inescapability of the ghosts serves to make the story that much more frightening, and, 172 years later, that which Virginia Woolf calls “the strange human craving for the pleasure of feeling afraid” keeps us coming back to A Christmas Carol again and again.